While that other surprise celebrity cameo in Thor: Ragnarok came out of left field, there’s one character appearance that makes a whole lot of sense. Early on in the third installment of the standalone Thor films, we check back in with none other than Doctor Strange (Benedict Cumberbatch). 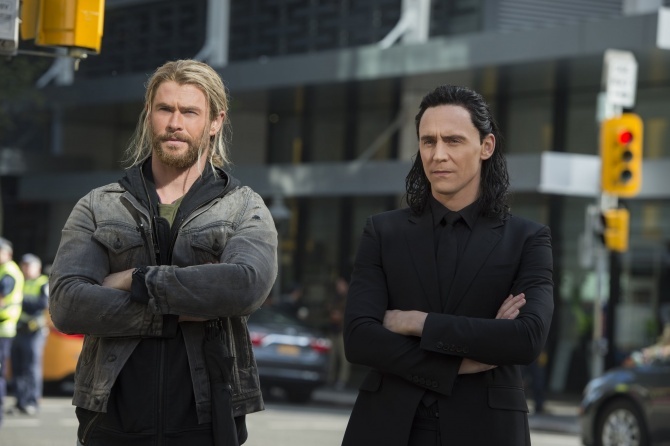 Basically, Thor (Chris Hemsworth) and Loki (Tom Hiddleston) go to Earth to find their father, Odin (Anthony Hopkins), whom Loki has left stranded in a human retirement home. Sadly, the human retirement home has been completely demolished. Loki then suddenly vanishes from Thor’s side, and only a small card with a Bleecker Street address is left behind. Thor goes to the address to find our mystical brooding doctor, complete with his magical cape.